Tirpura is Located in the Northeastern part of India with Agartala as its capital. Tirpura is one of the beautiful states of India with average literacy rate. Research centers of excellence and Institutes with National importance are located in the Tirpura. Colleges in Tirpura offer various courses such as Graduate, Postgraduate and certificate courses in the field of Arts, Sciences, Commerce, Information technology and Engineering. 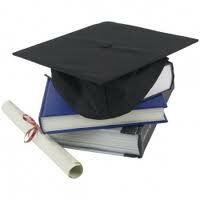 Regular as well as distance learning courses are offered by the Colleges in Tirpura. The major colleges in Tirpura are affiliated to Tirpura University which is the notable university in Tirpura it has various departments such as Department of History, Political science, English, Mathematics, Zoology, Botany, Chemistry, Sanskrit, Hindi, Philosophy and Commerce. Tirpura is the Home for various colleges such as Pharmacy College, Medical Colleges, Engineering Colleges and Polytechnic colleges. You can find well known colleges in Tirpura such as Ramkrishna Mahavidyalaya Kailasahar, Belonia College - Belonia , Women�s College � Agartala, Ramthakur College - Badharghat, Bir Bikram Memorial College �Agartala, Dasarath Dev Memorial College - Khowai, Govt. Degree College � Dharmanagar, Netaji Subhas Mahavidyalaya Udaipur, Michael Madhusudan Datta College - Sabroom, Govt. Degree College � Kamalpur, Govt. Degree College � Amarpur, Kabi Nazrul Mahavidyalaya Sonamura, Ambedkar College - Fatikroy , Bhavan�s Tripura College of Science and Technology - Agartala. "Following is the list of colleges in Tirpura. All Colleges in Tirpura are divided into region wise. To view colleges in a particular region kindly select the region from the drop down list. The number of colleges in any particular region is mentioned in front of the link. If you come across any college in Tirpura which is not found from our list below, please do let us know by using add in list which is default in our website�.